OSIsoft Users Conference comming up - Come see us! The UC is coming up next week. I'm personally really looking forward to it. Really looking forward to all the great sessions, and discuss new innovations on the PI platform. Your favorite OSIsoft employees (that's us, the vCampus Team ) will all be present! We are really looking forward to meeting as much of you guys as possible. We will be visible, wearing vCampus shirts, so you don't have any excuse not to say hello! We will be having a spot in the 'Social Networking Lounge', where we can sit down and discuss everything PI and vCampus related. We also have our own spot during lunch, with a couple of tables reserved for vCampus members. I think this will be a great way to discuss while having some nice food. So, please stop by and say hello! We can discuss anything PI related, and maybe even involve some of the developers or PM's that will be present. Re: OSIsoft Users Conference comming up - Come see us! I will be there and am looking forward to seeing everyone! I won't be there this year...gonna miss you guys If only there was live webcast of the presentations (like the SQL Server 2012 team did). Looking forward to the vCampus conference in December though, definitely going then! Steve, if you are wearing one of these you can come to vCampus Live! 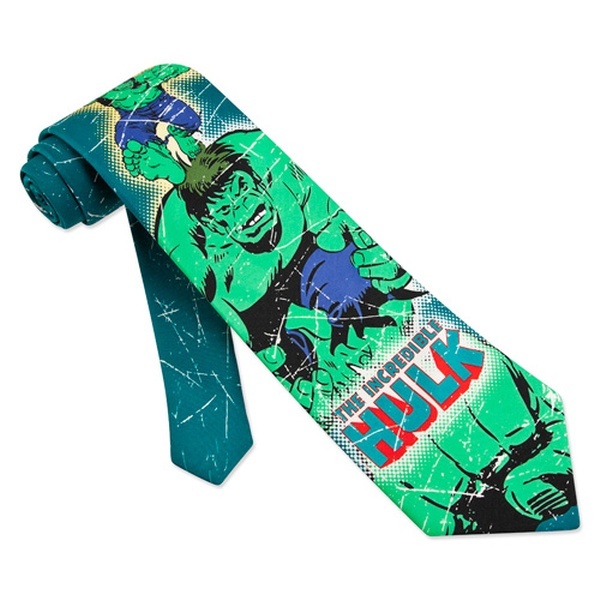 Maybe we should categorise each discipline of OSIsoft employee with a superhero tie for vCampus Live. I won't be at the UC either. To quote my boss: "We don't mind sending Rick to vCampus to be around his own kind, but we're afraid to send him to UC where he might be around people." @Rick: Your boss seems like a swell guy . You should put that quote in your signature. Too bad Asle and Rhys won't be able to join us. Looking forward to see the people that can come (Lonnie!). Well I am going to quote you on this and hold you to it...we can all blame Michael if it is not true. Anyway more importantly, who would be on your superhero tie, Michael? @Rick, best quote I have heard for some time. Can we also be supervillans? I always liked Dr. Octopus (Spiderman). A quote we had on the wall in the office said: "Engineers are always honest in matters of technology and human relationships. That's why it's a good idea to keep engineers away from customers, romantic interests, and other people who can't handle the truth." If not a book then perhaps a "Geeks Anonymous" self help group. "Hi. My name is Rick and I'm a geek. Q) What do engineers use for birth control? A) Their personalities." For those who cannot attend the UC, it is being Live Streamed at the event site. Well it was a great conf, there were a ton of people, I think I heard 1,600, but it seemed like more. The most I have ever seen. I was able to spend a good amount of time with the vcampus team so that was great! I wish there were more of us there, but I know it is a lot of money and time for everyone. I presented on day zero on a project I'm working on with PG&E. I showed off my app for an iPhone that gets push notifications (via a Azure cloud service) and then the user can see all active notifications in the system. They can then see details on current values for each notification and trends for all underlying PI values. It went really well and I got a lot of interest, so I'm pretty happy. I need to get my blog going to share more details! OSI demo'ed coresite on the iPad, that was awesome and they said it would be released this year! I will post more about all this soon. Anyway, there are some pretty cool things happening, I'm sure you will be hearing more!! Coresight on iPad is very sellable, that's good. And I watched the live stream where Rubik and Power View was presented, cool stuff. Any word on the release date of ProcessBook and Webparts 2012? @Asle, I want to say that Webparts 2012 was going to be "this year", I don't remember what the schedule was for ProcessBook. Ok, so no concrete release date then, I guess. The roadmap says Q2 for PB and Q3 for webparts - we're in Q2 so I'd hoped it would be presented in the UC. I know our events team are working on that. I don't have an exact date but they should be out in a week or two. PIPB 2012 released as I guess most of you know already. PI WebParts, I don't know. Really just writing here to say I'm surprised geeks can dance like that. One "green shirt" in particular at the closing party. You know who you are. I was also really impressed. Did not know geeks could dance like that! Nice seeing you again Børre. Looking forward to meeting you at the Stavanger Regional Seminar! Coming up to a Download Center near you! Per the system roadmap, expect the next version of PI Web Services (with EF capabilities) to release in Q3 - with a Beta on vCampus within the next few weeks!